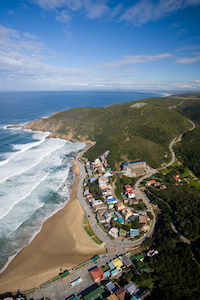 In the heart of South Africa's spectacular Garden Route, lies the seaside village of Herolds Bay. The Herolds Bay Luxury Apartments are located 8km from the George airport, 20km from George. They offer a lifestyle of modern living, with tranquility and the spirit of outdoor adventure. Deep blue sea, mountains and unspoiled fynbos, modern & sophisticated living all in the heart of the Garden Route. Well located to the George Airport, Garden Route Mall, George Hospital, schools & sporting facilities. A world-class outdoor playground offering coastal walks, hiking, whale spotting, fishing, surfing to mention but a few activities. A stunning beach, only 250m away with 2 tidal pools. A swimming pool with large sundeck ,exclusive to residents. Golf at Oubaai Resort a mere 2km through the village. 7 Championship golf courses in the surrounding area.